Expert skiing is characterized by regularly achieving a state of floating with flexed releases. ... and the purpose of this website is to guide you so you can experience skiing at the expert level. Of course, some expert skiers end up racing on the World Cup circuit while some just woo the crowds on the home hill or just play away in the glades but, while we may not appreciate all the details and refinements of technique, we can instinctively recognize an "expert" skier. The definition should also say something about skiing different types of terrain and snow conditions in control... but I think that's enough to pique your interest ! 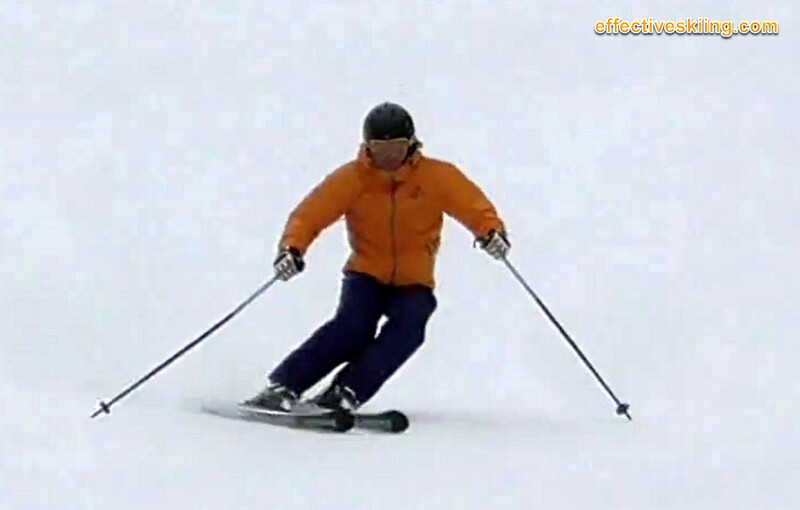 To be able to extract sufficient energy from a flexed release and be able to float through transition, the expert skier has complete control and mastery of the fundamentals: carving the turn on many snow conditions, especially the top of the turn, which requires great balance, tipping and counterbalancing skills. In fact you will hear it again and again in all sports: all high level athletes practice the fundamental movements and skills of the sport most of the time... this is the technique: what movements you do. The flexed release itself is not the easiest (the more frequent form of release is the "hop" which you will see everywhere around you: handy (or is it feet..y?) because it doesn't require advanced skill and creates energy with effort, pushing the body "up"). As expert skiers, we are in continuous movement, acting and reacting to the terrain and turn variations, maintaining dynamic balance via dynamic and athletic movement: stability with mobility. Refined balance allows us to focus on carving the outside ski, but not care that much about the details of each turn. Did we release on the inside or the outside ski? Did we engage the new turn on the outside or the inside ski? It was a choice or a reaction and not that relevant, since we'll soon be back onto the outside ski. The expert skier is confident that the outside ski will be there, edged sufficiently for support into the next turn. All the movement is natural and purposeful: an economy of movements is apparent, no extraneous movements are spent in making the skis perform, although the ranges of motion are often extreme. This is permitted by relaxation - it may seem counterintuitive, but expert skiers are relaxed for the most part! 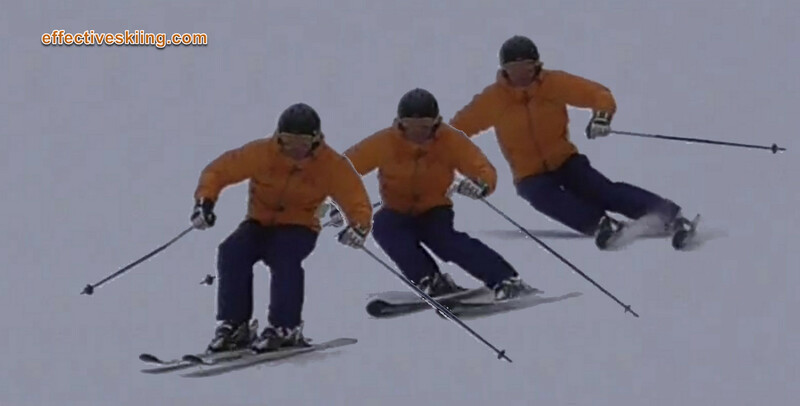 Speaking of the range of motion - expert skiing is quite athletic and requires good mobility and strength. The more work you put into developing flexibility of the body's joints and strength of the core as well as the lower body, the easier it is to improve your skiing. Viewed 640 times ( | Print ) this page.